The SENNEBOGEN 735 sets the pace for pick & carry operations, purpose-built to move wood with minimal maneuvering effort along direct travel paths. The 735 M-HD easily negotiates its way between tight rows of stacked logs. 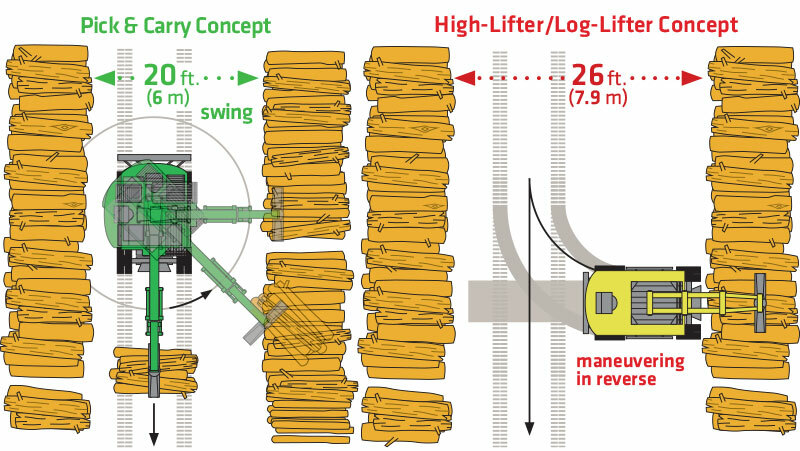 With a 40 ft. (12 m) reach, it is able to pick loads quickly and safely.